Time to touch a truck! 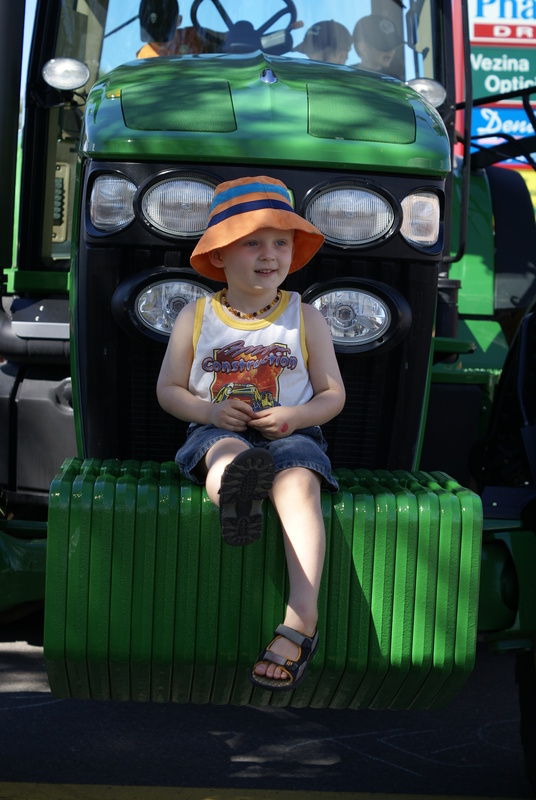 by Krista If you anyone in your family is nuts about big trucks and machines, your should mark May 29th on your calendars as that is the date for Touch a Truck this year! 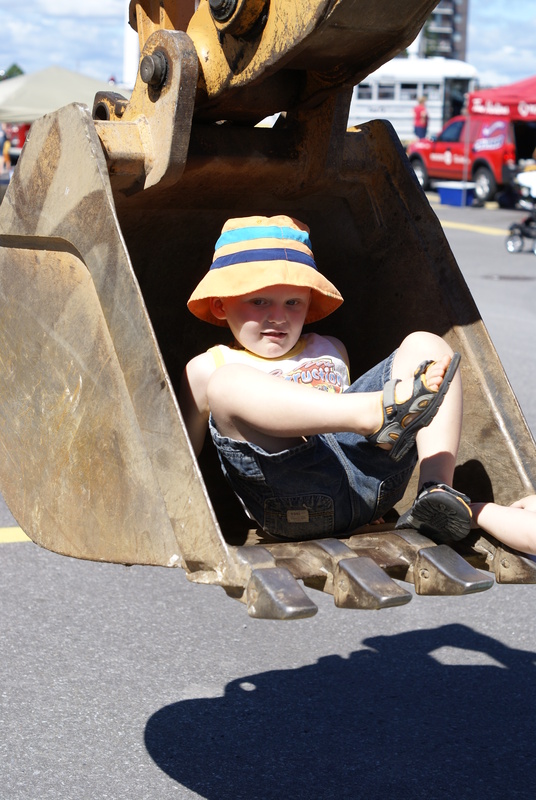 Touch a truck is an outdoor event that lets kids (big and little) get up close and personal with trucks of all shapes and sizes. The added bonus is that it is a fundraiser for Mothercraft, a local non-profit that supports families! 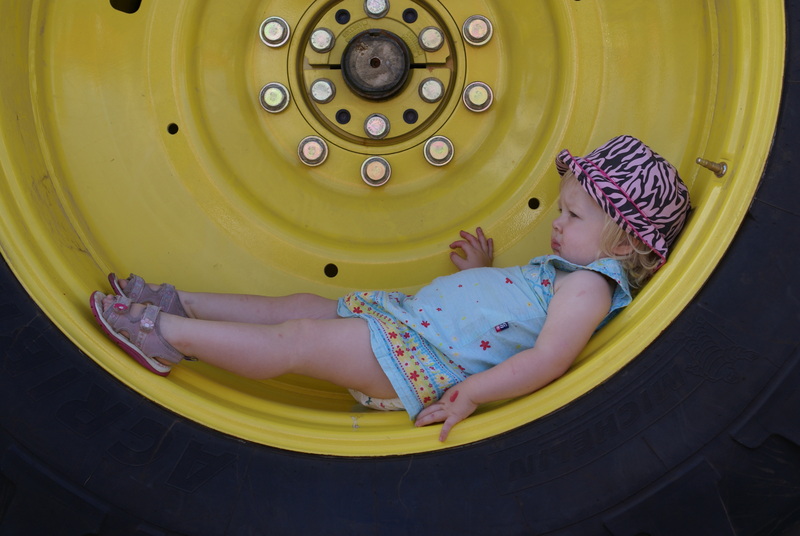 When we heard about it last year, it sounded right up our alley, given that both our lils are completely in love with all things truck, and have been for years. They regularly asks us to drive around searching for trucks, just so that we can catch a glimpse! Last year, we heard about this event only days before it happened. Luckily, we were free that day, and planned to go. We had not told the monkeys our plans, but spent the morning of teasing them with a few details. By the time that we were heading out, they had a pretty good idea that there would be trucks where we were going, so they were keen to get out the door. None of us were disappointed. 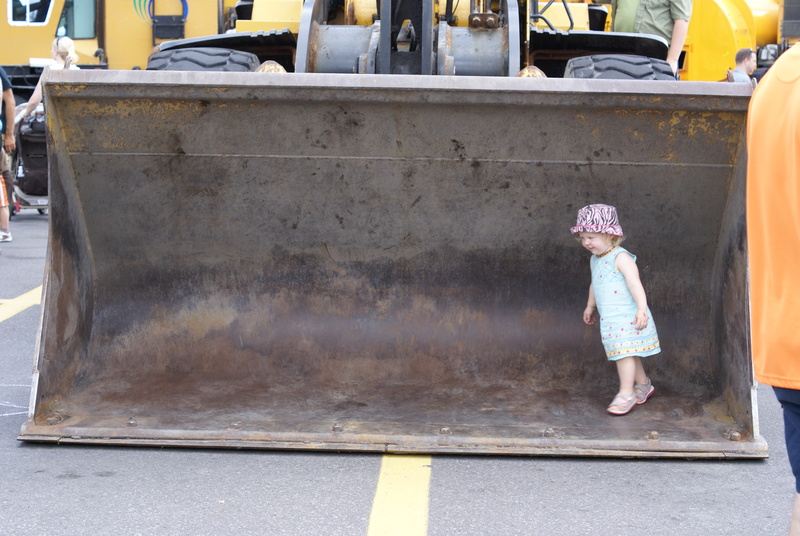 We had to drive by the truck set up (on the Carling Ave side of the mall) to find parking and it was impressive! You could hear all the horns honking before you could see the trucks, and then you were on top of them - a massive display of trucks and machines! There were fire trucks, loaders, street sweepers, police vehicles, the bookmobile, buses, street sweepers, army trucks, race cars, tractors and a crane! We spent the better part of two hours moving from vehicle to vehicle to vehicle, climbing in some, and just checking out others. There were a good number of people there, but most of the lines were not too long, and most of the parents were really good about keeping things moving. I was sad that the kids didn't get to fully explore every vehicle until they were tired of them, but think that the balance of seeing so many outweighs that. In the end, the only desired one that we missed getting in was the crane. The line for it was far too long, we would not have made it through. I think that Woo's favourite parts were the horns, he's a honker! If you are going to head down, the event runs from 10:00 AM - 3:00 PM on Sunday May 29th. 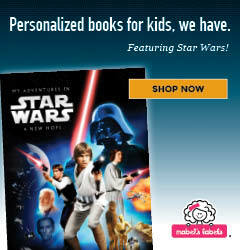 Admission is $5.00 per person, to a maximum of $20.00 per family. Keep in mind that this is an outdoor event, so dress accordingly, and remember the sunscreen - there is no shade in the lot! If you have younger children, strollers are appropriate, but it does get crowded, which may make maneuvering difficult. I recommend heading down early if you can, beat the rush. For anyone that is sensitive to noise, note that it is LOUD. The children are allowed encouraged to honk the horns on all the vehicles, and they honk like mad, loving every minute.